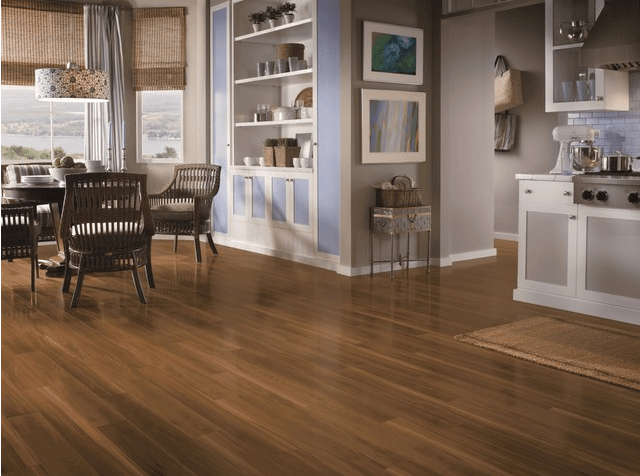 New choices in laminate flooring offer ease of installation and some wonderful laminate floor patterns, but can they really compete with tiles? If you're trying to figure out what the pluses and minuses are of either choice, tiles vs laminate, take a look at this quick guide. It can help you make the right decision for your next home remodeling project. 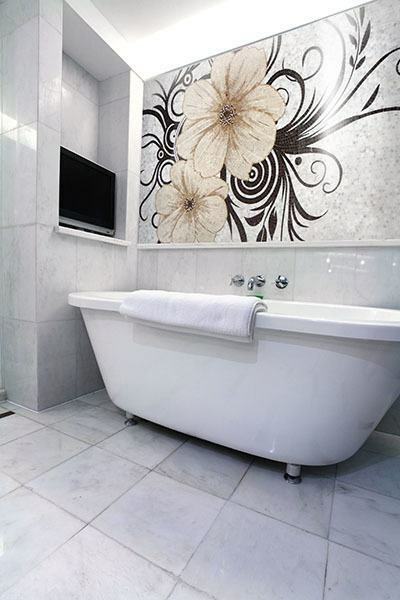 As mentioned, they are well known for the the myriad of design possibilities available with different choices of tile. Clay tiles are the perfect transmitter of warmth with radiant heating technologies. Tiles can be used in the kitchen or bathroom without too many worries that they will discolor or get damaged with water. They are perfect for a bathtub surround because you don't have to worry that getting out of the tub will damage your floors. If you get a crack or chip in a tile, they can be replaced one at a time, as long as you have a matching tile. You don't have to replace the entire floor. Wouldn't it be easier to replace one square tile than the entire thing? Tiles, when done properly by a professional, will add to the resale value of a home, which really isn't true with laminate flooring. The difference is that tiles are durable and long-lasting and can last a lifetime. 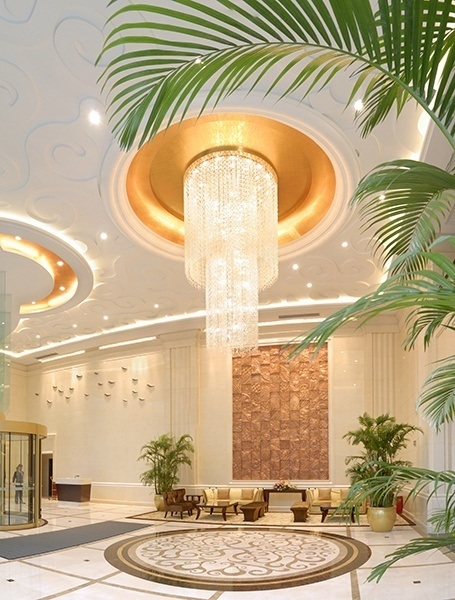 Tiles do require a professional for installation, unlike laminates. Tiles tend to be cold, unless they are being used in conjunction with radiant heating. They are also hard on the feet. This design would be ramped up with radiant heating underneath. 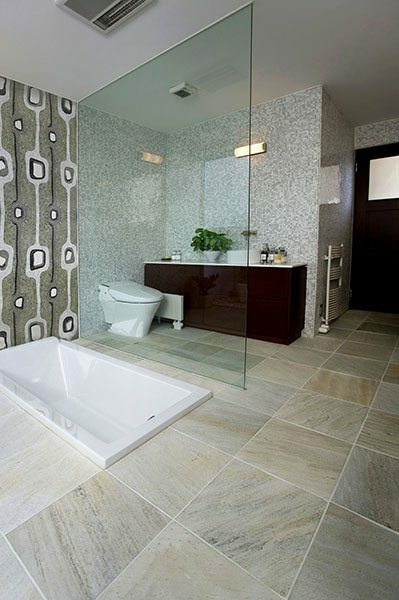 Tiles are more expensive than laminates, ranging from $5 to $13 per square foot, not including installation. Tiles can need regularly sealing, scrubbing, and even some grout repair or replacement. The good news is that this is often easy enough for a homeowner to do on their own. Laminate flooring can come in a variety of different looks, some that closely resemble wood flooring. With the new snap-in grooves, modern laminate is far easier to install than in the past. It does not require messy glues and can float above a cushioned pad, making it soft to step on. Thus, many of the positives cause homeowners to choose laminates for its ease of maintenance and faux wood looks. The cushion underneath can make the tough laminate feel softer on the feet than tile. 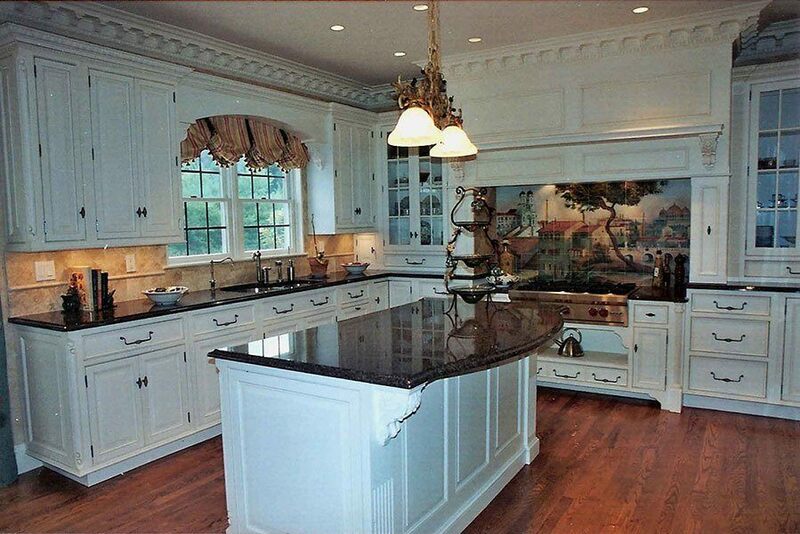 For that reason, homeowners might pick laminate for the floor and tile for the rest of the kitchen, like this design. 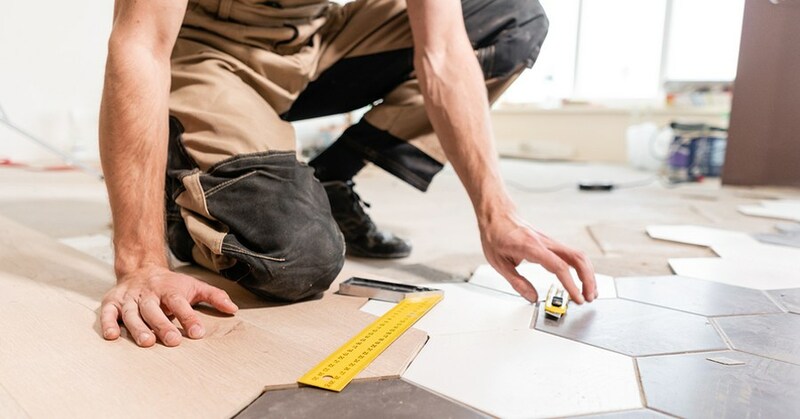 Laminate flooring can be done by a do-it-yourselfer, but it still requires some skill to cut the lengths to the correct measure. However, it is nowhere near the skill level required to lay tile. The cost to install laminate is less because it doesn't require cutting tiles or laying out grout. It costs between $2 and $8 per square foot, not including the installation. Laminates are plastic and paper that have been laminated together and for that reason they simply aren't as durable as tile. They can be used in the kitchen, but care has to be taken near wet areas like the sink, since they can be easily damaged when wet. They aren't a good choice for the bathroom, unlike tile. If your laminate flooring does become damaged, you might have to remove more than one row to get it looking good as new. It's not as easy to just replace, like a single tile. You can get mock tile designs in laminate, but they look somewhat fake. The best choices tend to be wood looking laminates that mimic the real thing fairly well, but are still able to be distinguished by the viewer on closer inspection. However, from a distance they can look like the real thing, as in this photo. If you want a wood looking floor, you can still choose tiles that look like wood, and get a more durable floor than laminate. However, if cost is a factor, you might choose laminates on the floor and go with tiles in other places, like the walls. The choice of tiles vs laminate doesn't have to be either/or. It can be both. Just decide first whether you want something that looks high-end, like tile, or something easy to maintain, like laminate. Ask yourself if the environment makes tile a better choice because water will be present and could cause laminate to become damaged. Even consider whether you have pets. Knowing some of these factors, which would you choose?